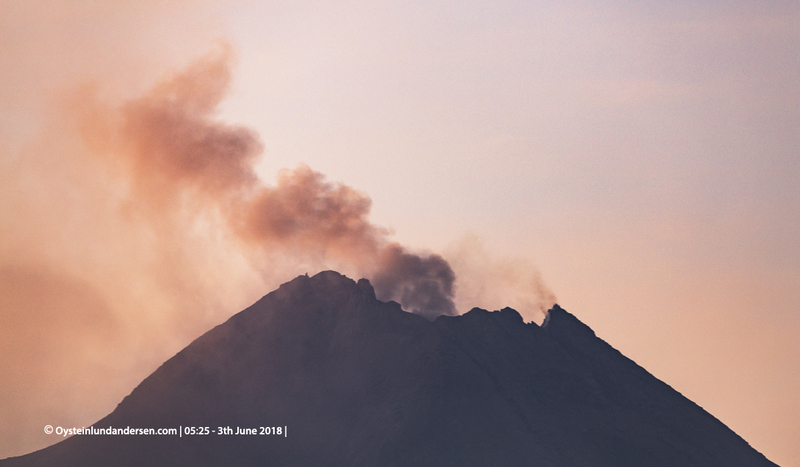 Merapi volcano was raised to alert level II (out of 4) on the 21th May 2018, after several (phreatic) eruptions had occurred leading up to this date (11th, 21th May) but also on the 31th May and 1th June. 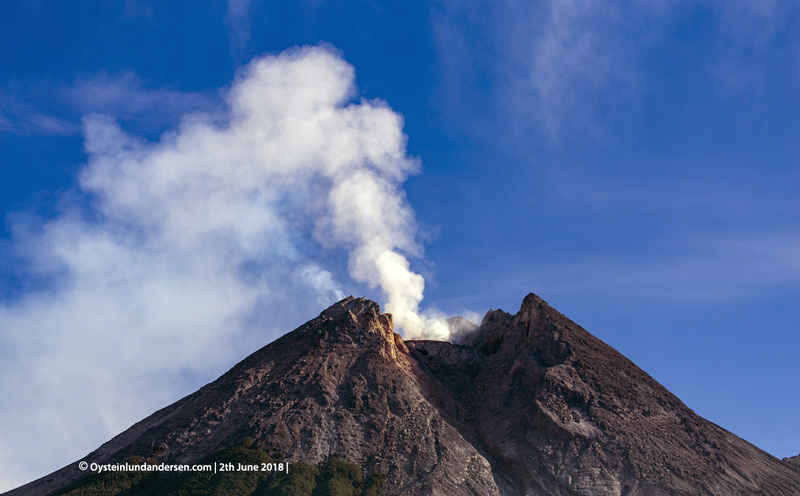 The Indonesian authorities have also recorded a increase is seismic events (Tremor, VTs and degassing (hembusan) events). 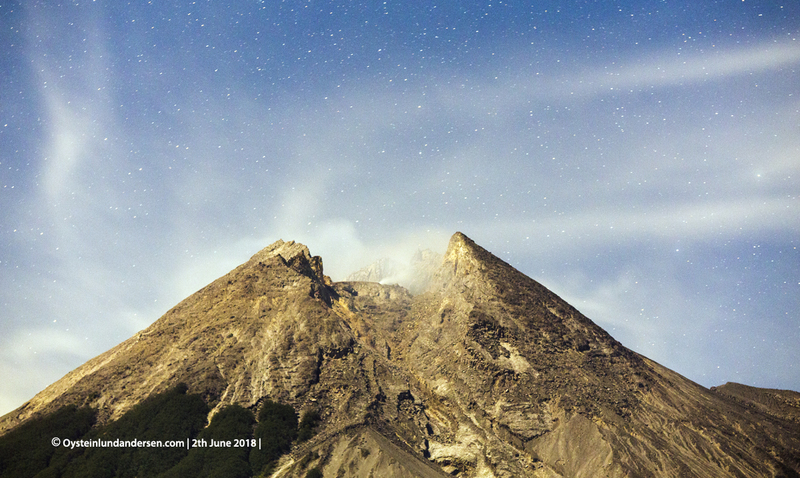 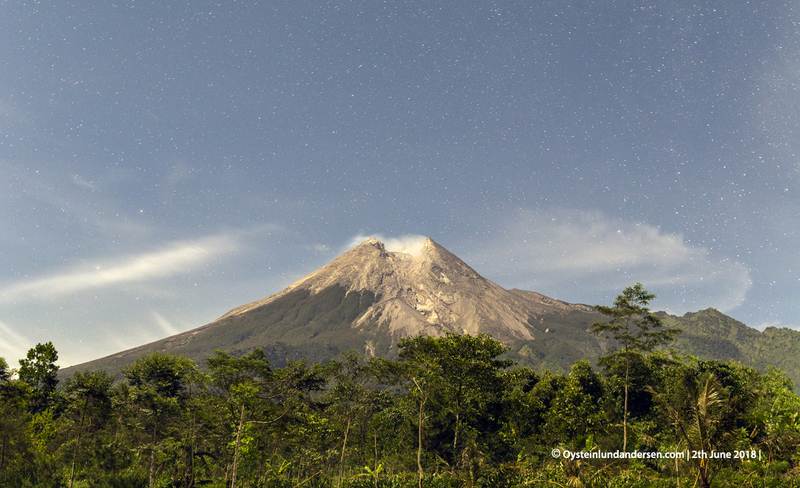 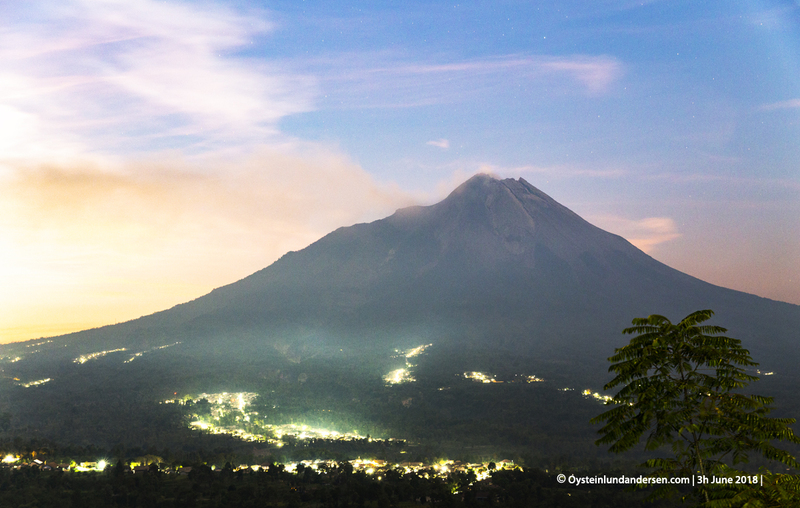 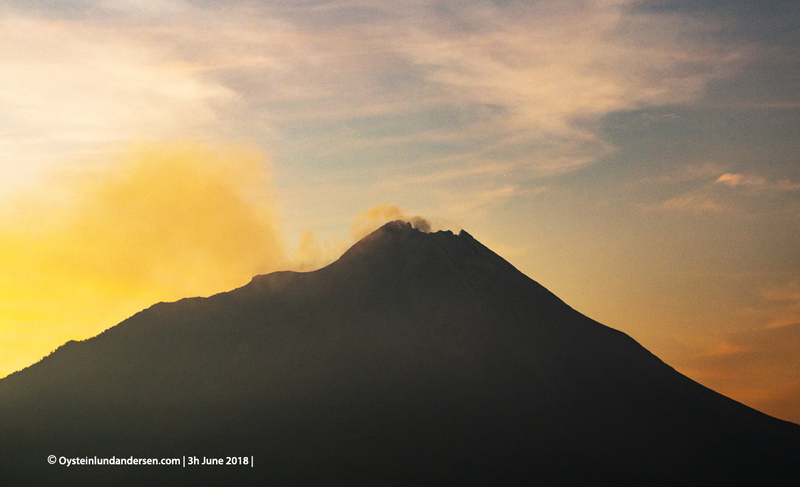 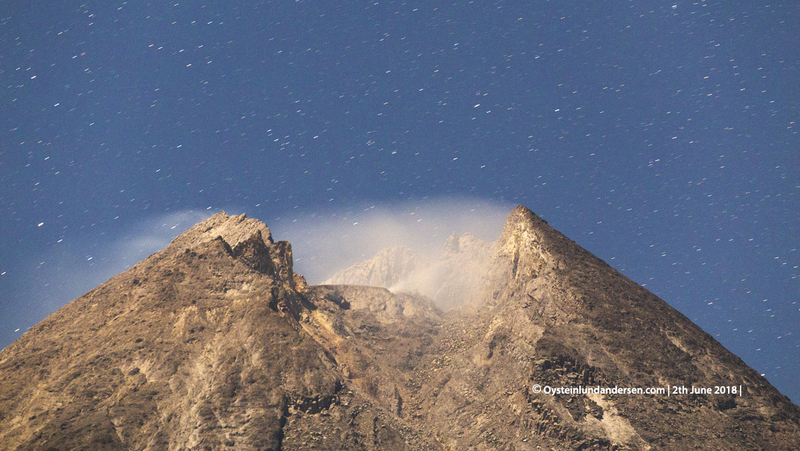 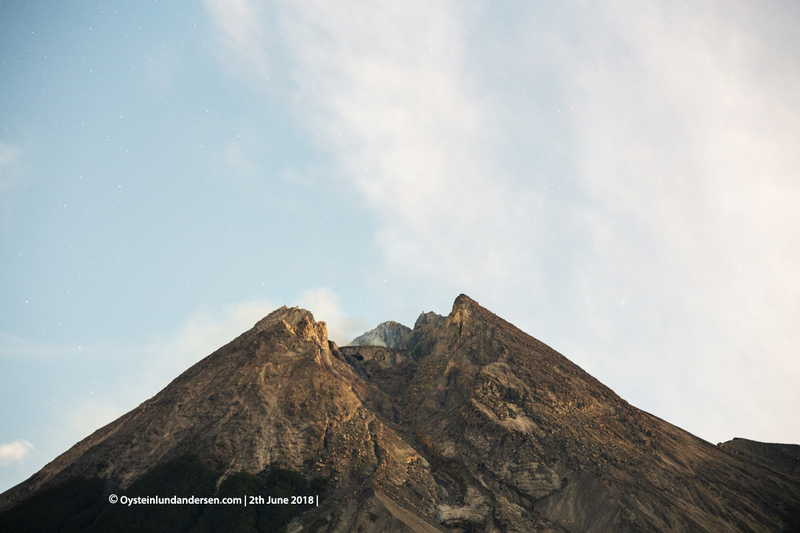 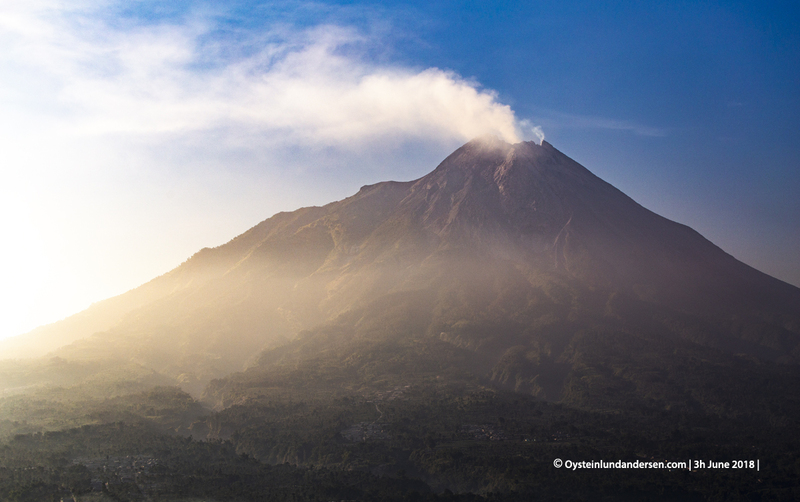 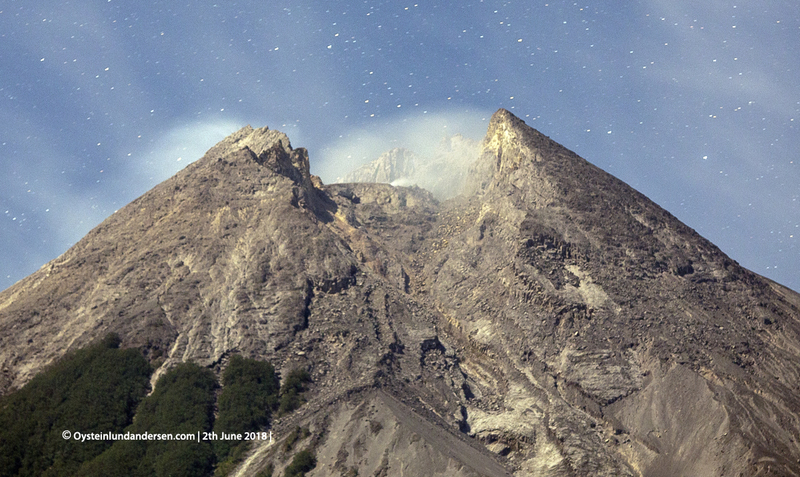 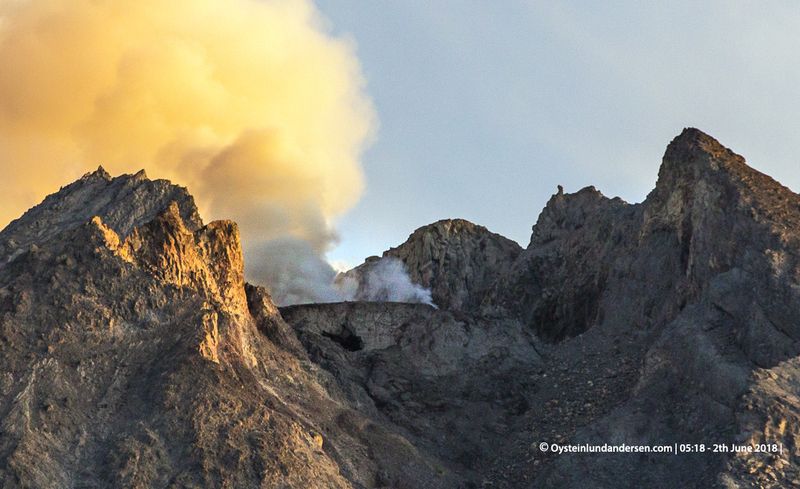 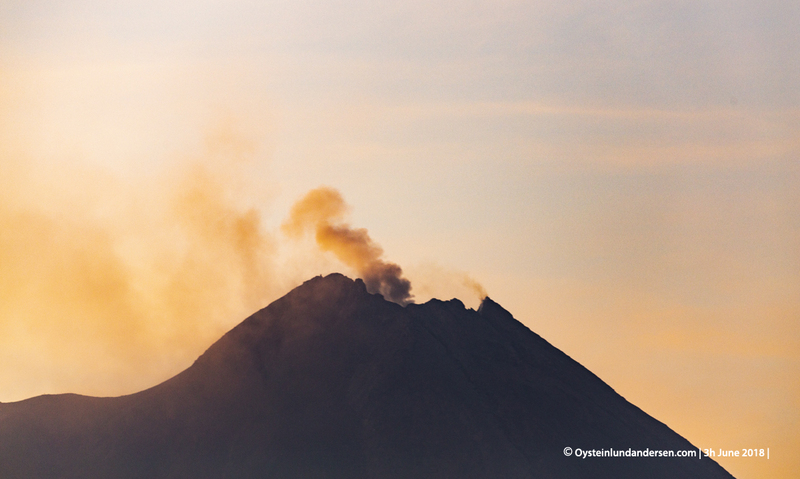 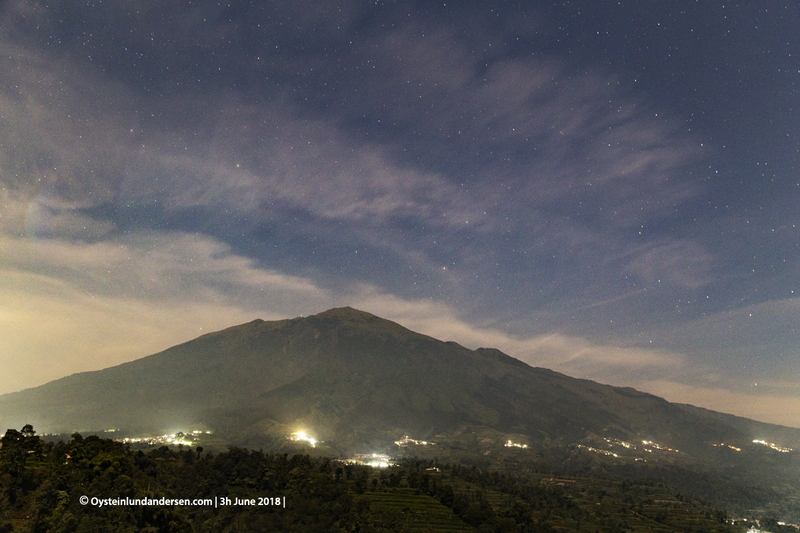 Indonesian Authorities (via @BPPTKG) was quoted in Indonesian news, 24th May, commenting, that Merapi volcano is currently “leaning towards a magmatic eruption”, adding that during a eruption 02:56 24th May, Incandescence had been observed in the crater. 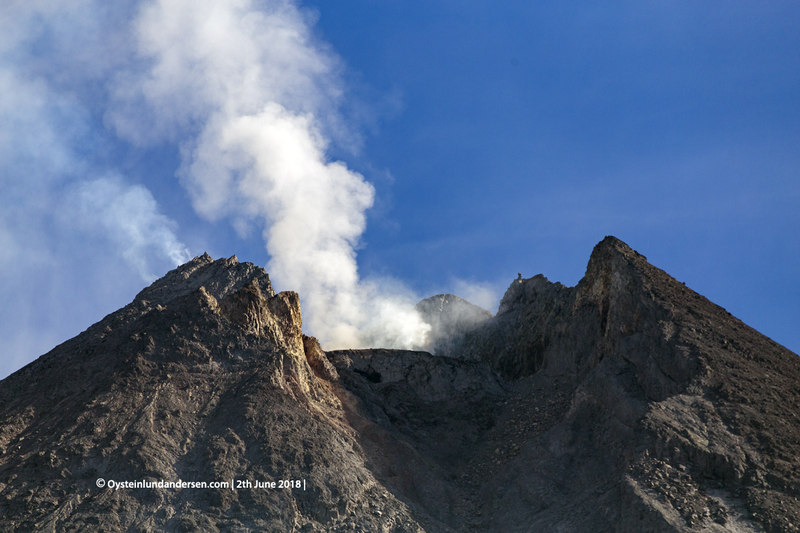 I visited the area on the 2-3th June. 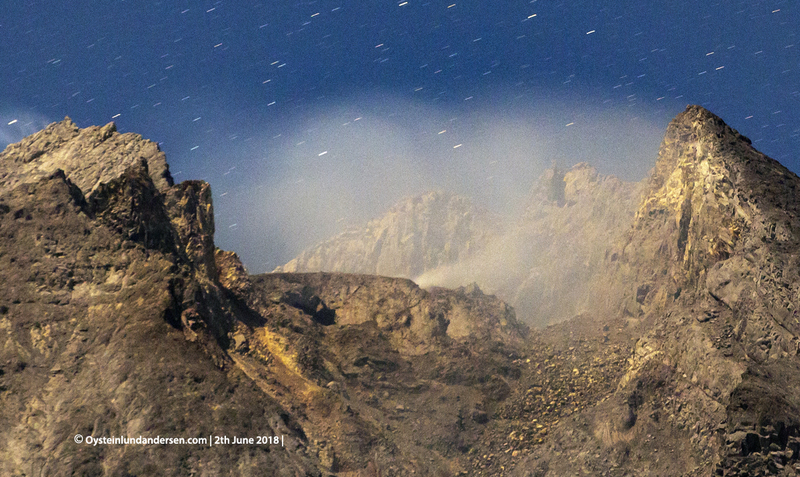 On the both days degassing plumes were visible at all times, stronger than what I observed in May. 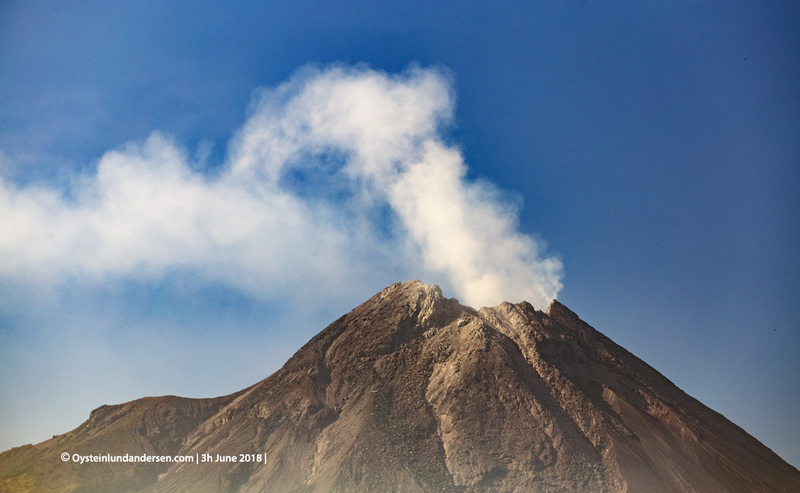 On the 3th June a small ash-plume was observed in the morning, and authorities reported ash-fall in the district of Selo 30min after. 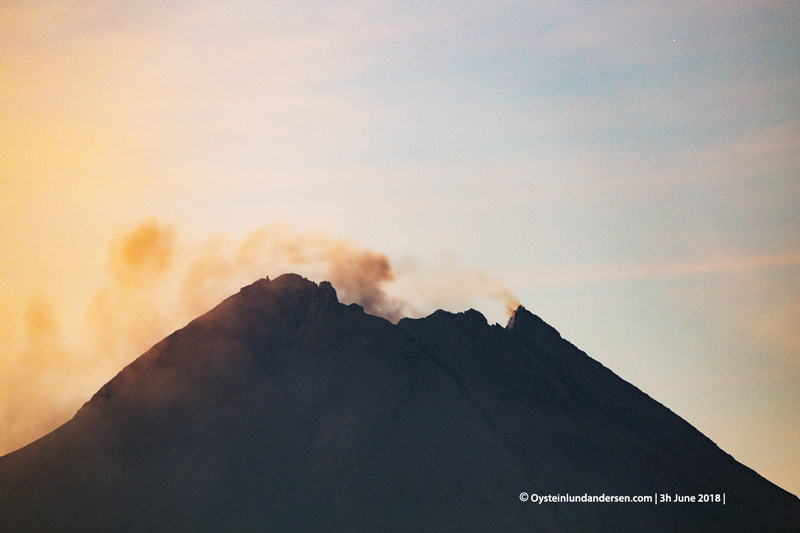 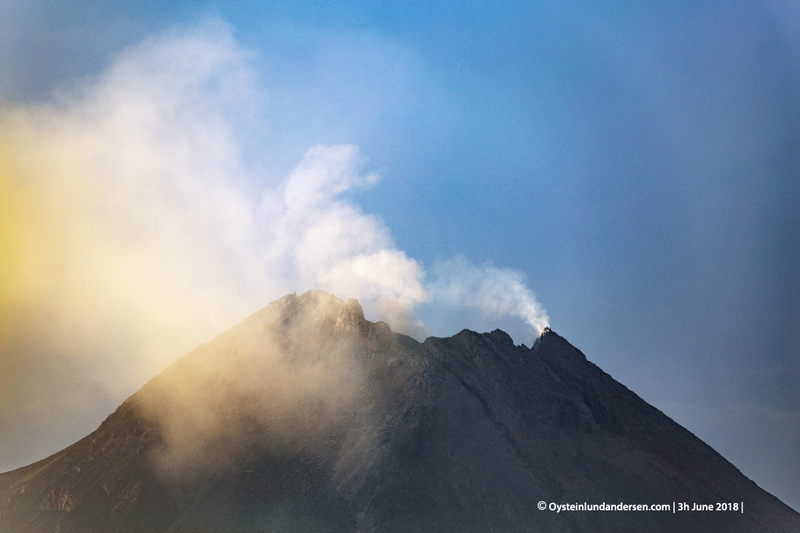 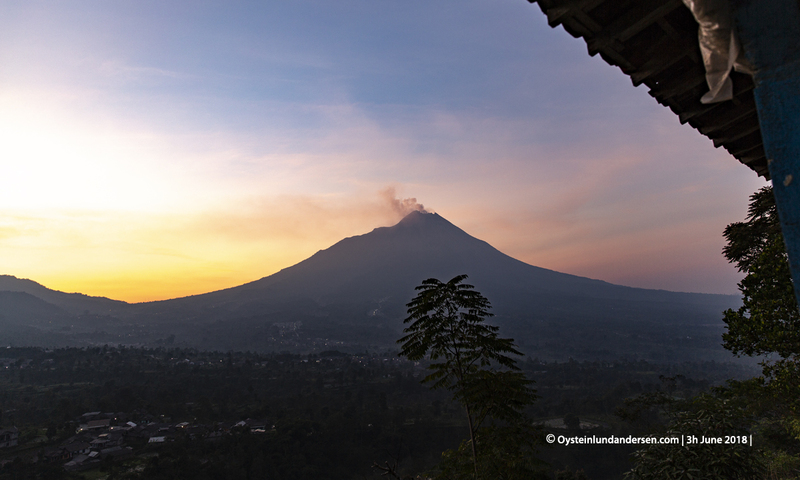 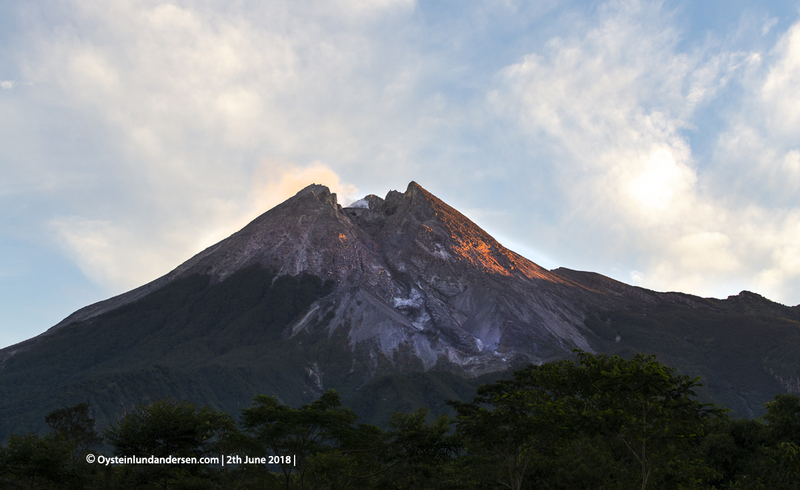 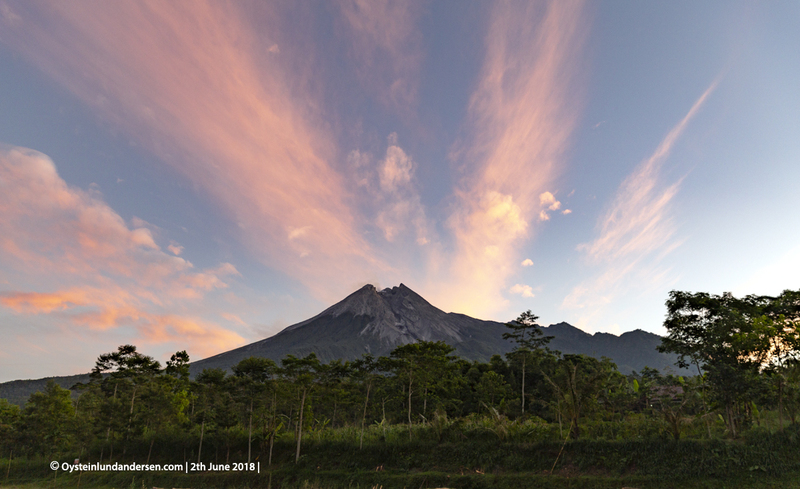 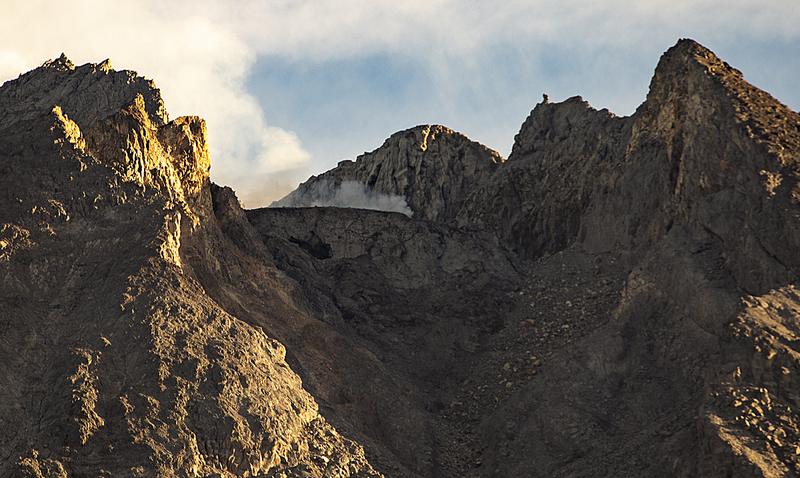 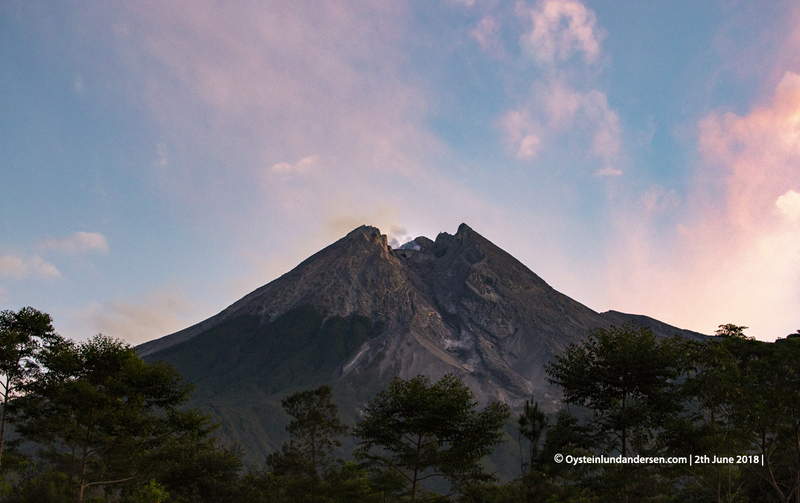 I also visited Merapi in May, see small report here.